Wounded, but far from defeated, the Harbinger is rebuilding his army. 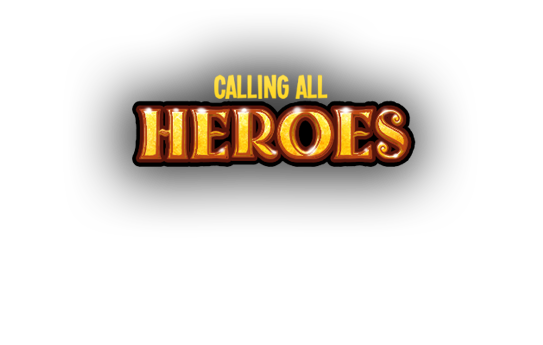 Our young heroes are calling on allies old and new to help them overcome the challenges ahead. Will you answer their call this April? Bring a 5th, 6th, 7th hero and more to the battlefield during the Build Phase!  All of your towers will persist, but only your heroes in your deck earn and share experience and loot. All four heroes in your hero deck now gain experience simultaneously. When your active hero gains 100 XP, the rest of the heroes in your deck will also gain 100 XP! 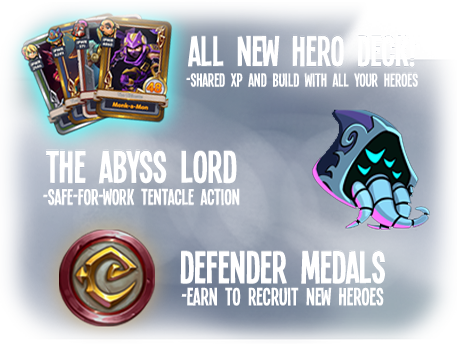 Now the heroes in your deck are just a button press away during the Build or Combat Phase. Swapping during the Combat Phase incurs a short cooldown. Defeating the Old Ones is a lot easier when you can work together with your teammates. Use our new inspect UI to quickly find out what gear and heroes other players are using.  Mysterious books and gear are appearing all over Etheria. It may have to do with the Abyss Lord... or maybe the Orcs just love stories about drizzly dark elves. This new gear augments the Abyss Lord’s minions and abilities in deadly ways. Equipped with four large Skill Sphere slots, the Abyss Lord is ready to obliterate anyone standing between him and the Harbinger. 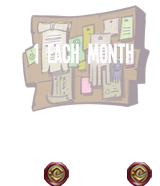 Speak to the Adventurer to exchange your Defender Medals for these new Skill Spheres. Who will you choose to join the fight? Series EV2 is finishing up her upgrades in Sky City and only you can decide who arrives after the Abyss Lord and her -- The Barbarian, The Gun Witch, or the Lavamancer. Preview these heroes in the new in-game browser, then play every day to earn points, and vote online or in the launcher! Voting will begin when the update is live! 2015 Trendy Entertainment. All rights reserved.All trademarks referenced herein are the properties of their respective owners.